CPES congratulates our most recent graduate, Victor Turriate! 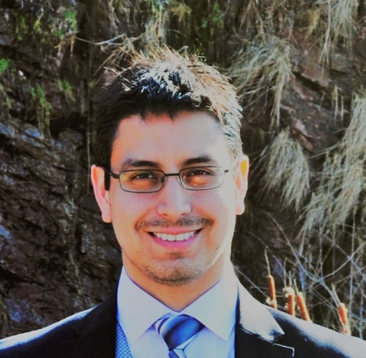 Victor Turriate completed his Master's program in September 2018. His thesis, "Design and Implementation of a Radiation Hardened GaN Based Isolated DC-DC Converter for Space Applications" and defense presentation are available online to CPES Principal Plus, Principal, and Associate members via password access. Victor received his Bachelor of Science in electrical engineering with a minor in mathematics from Virginia Tech. Afterwards, he spent several years at Boeing designing power converters for military and defense applications. He joined the Center for Power Electronics Systems at Virginia Tech as a Wide Bandgap Generation Fellow in 2016, and completed his Master of Science in 2018. Victor's research focused on the design of high-performance isolated DC-DC converters using Wide Bandgap Semiconductors. He currently works at Infineon Technologies as a Staff Design Engineer. In his spare time, Victor enjoys soccer, traveling, and playing guitar. Congratulations, Victor! We wish you the best!